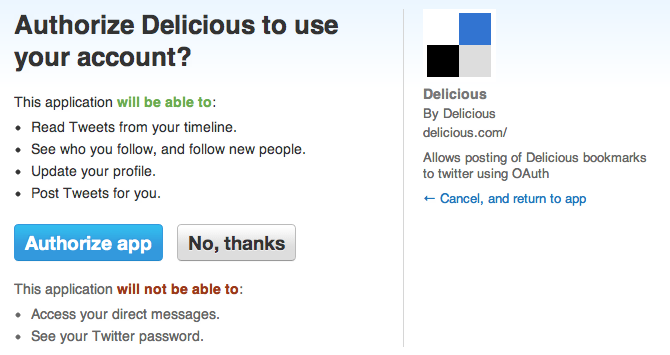 To set this up, login to your Delicious account and go to Settings > Sources – Connect a Twitter Account. 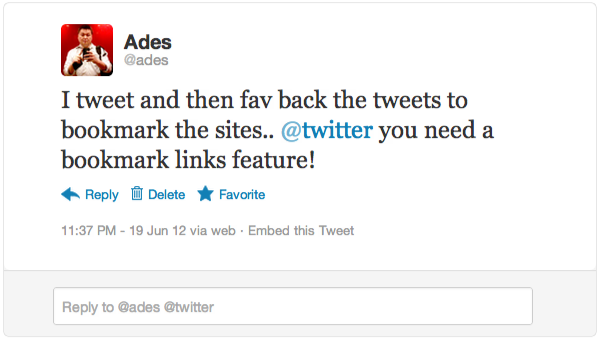 After you have selected the preferences, press “Connect Twitter“. Once you are shown the above page, press “Authorize App” and you are done. 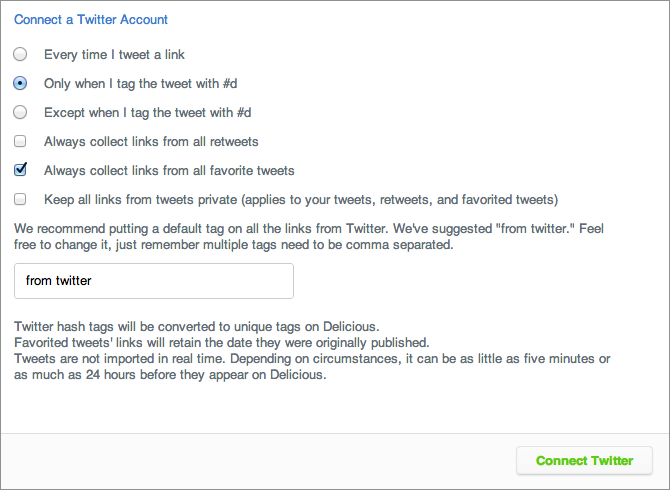 Now Delicious will diligently collect all your links from tweets that have a hashtag of #d and/or all your favorites tweets.